This one is my hot favourite. 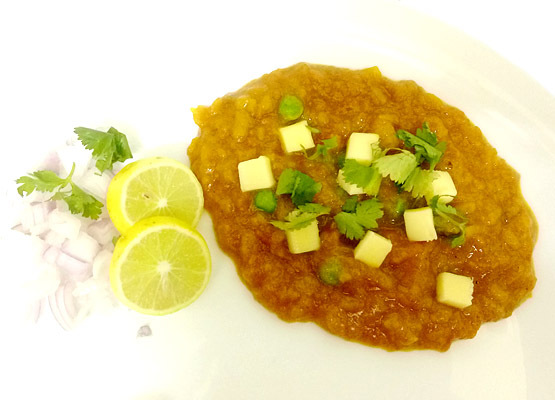 I love the easy eating combined with the great taste that comes with Pav Bhaji. This is one dish that combines the goodness of all the vegetables and yet is quick and easy to make. 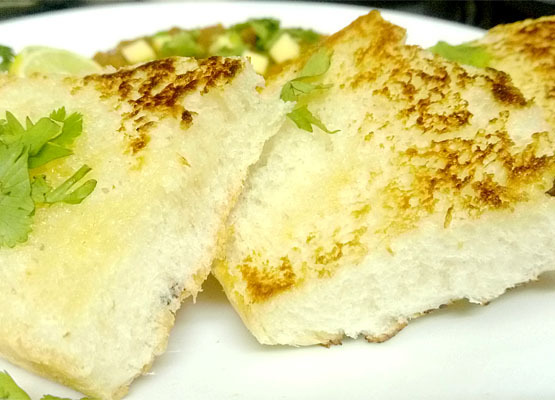 Bhaji basically refers to the vegetable that goes with Pav, the bread. The idea behind is to make a mashed vegetable porridge, give it a masala tadka, dash in some butter and eat it with the bread. Forget the conventional style of what it requires, Bhaji can be made with almost any vegetable that can be easily mashed. So here’s the conventional recipe with a flavoured twist. Boil all the vegetables together with very little water. When I say very little, I mean almost negligible; only as much to cover thin surface area of the pressure cooker. Mash the boiled vegetables and keep aside. Fry onions till golden brown and add finely chopped ginger and garlic (or the paste). Add the regular spices like salt, red chilli, turmeric and Pav Bhaji Masala (easily available under different brands in the market). Add chopped tomatoes and roast for 10 min, on low heat. Add mashed boiled vegetables and roast till it starts sticking to the pan. Your bhaji is ready. Switch off the flame and on the other hand toast the Pav on iron plate/tawa with butter. Serve the bhaji in a full plate, garnish it with finely chopped onions, squeeze lemon slightly on top and finally dress it up with some coriander leaves. 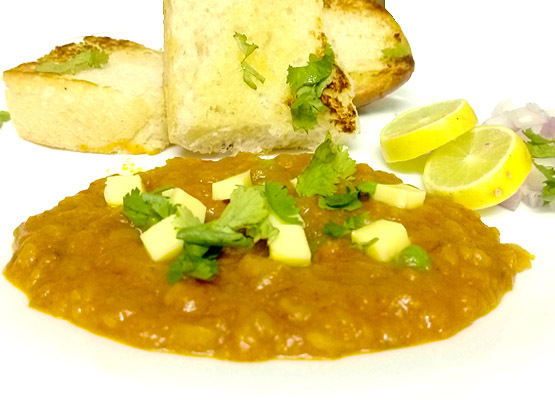 Place the Pav/bread alongside and it enjoy the sumptuous Pav bhaji!